Atomic Credit Union recently received word on their recognition as a ranked Credit Union. Lindsey Denney, Marketing Manager of Atomic Credit Union, spoke with the Daily Times about their recognition as the fourth best credit union in the state of Ohio. 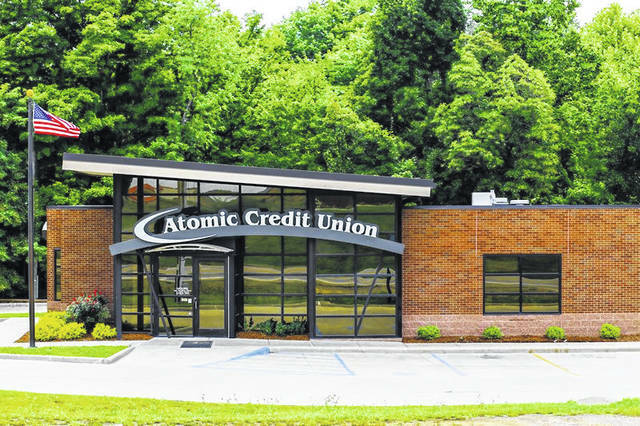 She said in an email from the Chief Executive Officer Tom Griffiths of Atomic Credit Union, stated they were Atomic Credit Union was listed as being ranked number four best Credit Union in the state of Ohio. The email continued, Forbes is an American business magazine, it is published by-weekly covers original articles in finance, industry, technology, investing and marketing. The magazine is well-known for its list and rankings such as the Forbes 400 the richest Americans. There were 18,000 commercial banks and savings institutions in the United States in the 1980’s, but 35 years of massive consolidation, and nearly 3,000 bank failures have cut the total by 70 percent. With the proliferation of on-line banks it is even more important for local banks to demonstrate their advantages in regards to customer service and accessibility and financial advise. With this in mind, Forbes partnered with market research firm Statista to produce its first-ever look at the Best-In-State Banks and Credit Unions. Instead of gauging the balance sheets and P&L statements as Forbes does for its ranking of the 100 largest banks published annually in January, Statista surveyed more than 25,000 customers in the U.S. for their opinions on their current and former banking relationships. The banks and credit unions were rated on overall recommendations and satisfaction, as well as five sub-dimensions (trust, terms and conditions, branch services, digital services and financial advice). Nationwide financial institutions like Bank of America, Wells Fargo and Chase Bank, which have branches in at least 15 U.S. states, were excluded from the final rankings. Ten other national banks were not considered for that reason, including U.S. Bank, PNC Financial and Bank of the West (B of A, Wells and Chase all rated lower than most of the “small” banks). Navy Federal Credit Union (30 states) was the only credit union eliminated for its reach. Final scores ranged from 40 to 95.4, with Connecticut’s Thomaston Savings Bank posting the top rating overall. Between one and five companies were awarded Best-In-State designation, based on the number of responses in each state. In total, 124 banks and 145 credit unions made the final cut or 2.4% of U.S. financial institutions. Credit unions, which are member-owned financial cooperatives, outpace banks with an average score of 80 versus 75.2 for banks. Atomic Credit Union states on their website, “Since 1955, we’ve been supporting our members’ dreams and aspirations with sensible, valuable products that help them get ahead. As we evolve and modernize, we will always remain committed to the age-old practice of treating people well.” It continues, “Atomic Credit Union was founded on November 28, 1955, nearly 25 years after the credit union movement began in Ohio. For nearly four decades, the credit union was established to serve ‘all retired or permanently employed personnel engaged in the operation of; maintenance of; or construction at the Atomic Plant site,’ along with immediate family members.